Because Macau has always been known for its casinos, there's an impression that it's not a destination for children. 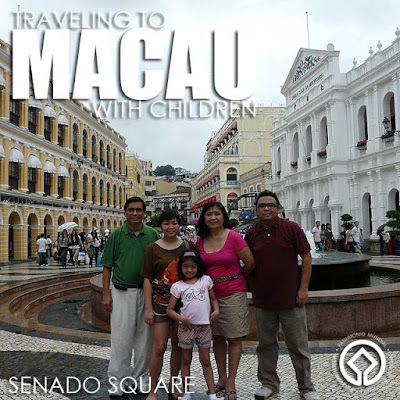 You'd be surprised though there are a lot of things to do for family travel in Macau. While minors are not allowed on the casino gaming floors, there are a lot of activities for children in Macau's large entertainment complexes and resorts. 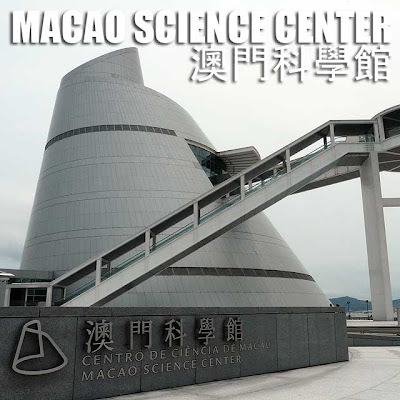 With its state of the art planetarium and five floors containing 14 interactive galleries which kids (and those young at heart) will most definitely enjoy, you may want to add the Macao Science Center to your bucket list. The hands-on exhibits feature children's activities, technology, the environment, lifestyle and sports. The complex was designed by world-renowned architect I.M. Pei. Tickets to the Exhibition Center cost MOP/HK$25 for adults and MOP/HK$15 for kids 11 years and below and senior citizens aged 65 and above. Children below 2 years old get in for free. 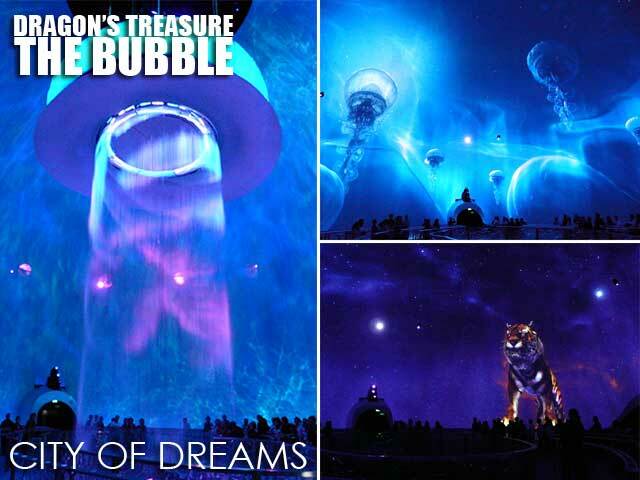 Planetarium tickets cost MOP/HK$35 for ordinary shows and MOP/HK$45 for 3D shows. For kids and seniors, it's MOP/HK$20 and MOP/HK$30 respectively. They're open from Monday to Sunday from 10 a.m. to 6 p.m.
At the Venetian Macao, check out Cirque du Soleil's latest production called Zaia. We were wowed by the acrobatics and special effects of the whole show. And it's worth it if it fits your budget. The 90-minute production has a 75-member cast from around the world, including the Philippines. Ticket prices range from HK$388 to HK$788 for adults and HK$194 to HK$394 for children. VIP tickets are HK$1288. Here's information for booking online. If Venice is elusive, try out the gondola rides at the Venetian Macao. 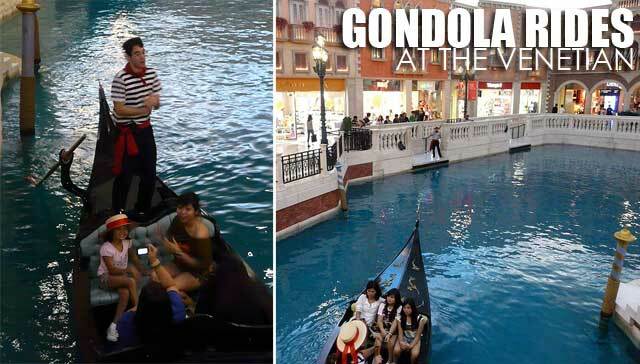 The gondoliers will serenade you as you take a leisurely ride through the shops at the Grand Canal. The ride costs MOP/HK$108 for adults, MOP/HK$80 for kids. Unless there are four of you, you might have to share the gondola with other people unless you pay for the entire ride. The Venetian Macao also has an innovative play zone called Qube. Open to kids aged 4 to 17, the activity center has a 9,000 square-foot children’s playground with a 6-meter-high multi-climbing facility with a free fall slide, rainbow slides, a V-Net bridge, over and under barriers, zig-zag net climbers among others. Teenagers can get on the computers to access the internet, play video games or shoot some pool. 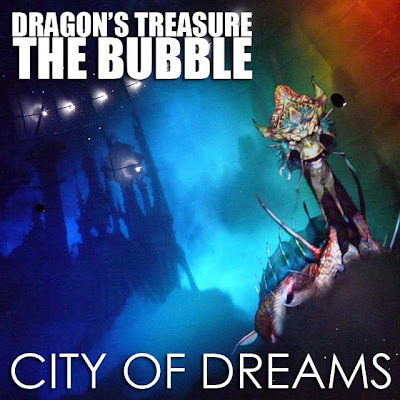 The Dragon’s Treasure at The Bubble, a dome-shaped theater and one of the iconic landmarks located in City of Dreams, is a spectacular 10-minute lights and sounds show. It's free of charge but you have to get tickets beforehand to watch the show which is every 30 minutes. City of Dreams also has a children's activity center called Kids' City. With 10,000 square feet of facilities with climbers and slides, video games, a bouncy tent, a painter’s glass easel and lots more, it is said to be Macau's largest kids' attraction. Take note though that there's a strict dresscode for kids. Children must wear long sleeve shirts, trousers and socks for protection and remove shoes and other sharp objects such as buckles, pens and badges. 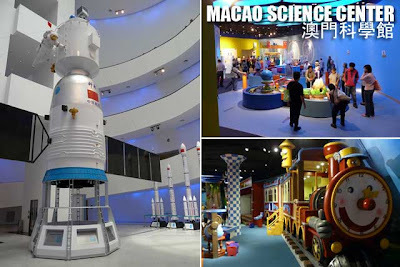 Kids' City is open from 10:30 a.m. to 9:30 p.m.
Macau has a good number of interesting museums which may be of interest to families. We visited four of them while were there. 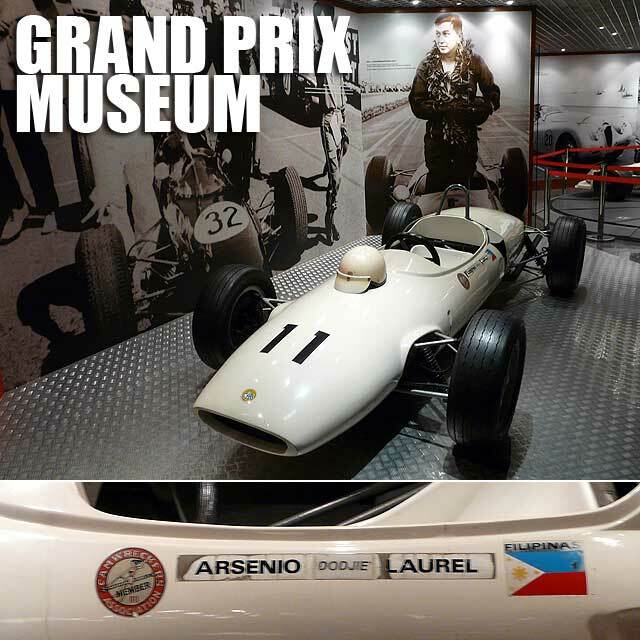 One of those museums is the Grand Prix Museum which showcases the history of the Macau Grand Prix. It also honors Filipino driver Arsenio "Dodjie" Laurel, the first person to win the Macau Grand Prix back-to-back. He died in a car crash while trying to win his third Macau Grand Prix. Entrance to the Grand Prix Museum and the adjacent Wine Museum is free. 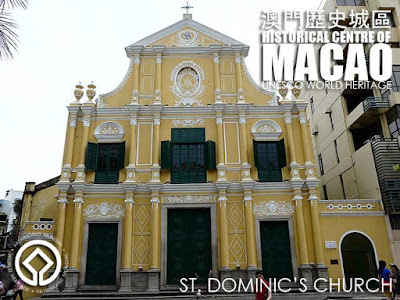 Both are open from 10 a.m. to 6 p.m.
We also got to visit the Macau Museum which features the history and culture of Macau (Praceta do Museu de Macau, No. 112; Open from 10 a.m. to 6 p.m.; closed on Mondays; tickets cost MOP/HK$15, MOP/HK$8 for children aged 5 to 10, students and seniors aged 60 and above; free admission for children under 5 and school visits. Free entry to the public on the 15th of each month) and the Maritime Museum (Largo do Pagode da Barra, 1; Open from 10 a.m. to 6 p.m.; closed on Tuesdays; tickets cost MOP/HK$5 to 10 depending on day, free of charge for kids below 10 and seniors). Here's detailed information on museums in Macau. Macau Fisherman's Wharf was the first theme park in Macau. Attractions includes East Meets West which has a 40-meter volcano called Vulcania that "erupts" every evening, Inside the volcano is the River of Fire white-water and Dragon Quest rollercoaster rides. Here's more information on Macau Fisherman's Wharf. Perfomance Lake is a dancing fountain. 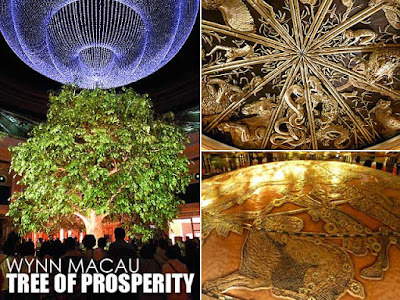 While the Tree of Prosperity and Dragon of Fortune are lights and sound shows. 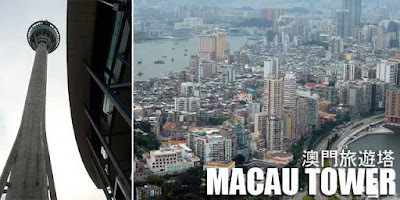 Ride the elevator 223 meters up to the observation deck of the Macau Tower for a grand view of Macau. Tickets cost MOP/HK$100 for adults and MOP/HK$50 for kids aged to 11. Kids below 3 years old are free of charge. You can have buffet lunch or dinner at Cafe 360. The cost of the buffet includes entrance to the tower. Lunch buffet is HK$/MOP198 for adults and HK$MOP148 for children. Dinner buffet is HK$/MOP288 and HK$/MOP188 respectively. 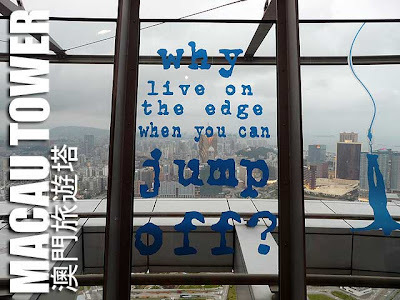 For the adventurous families, check out AJ Hacket's SkyJump and Bungy Jump. The Bungy Jump is the highest commercial bungee jump in the world! 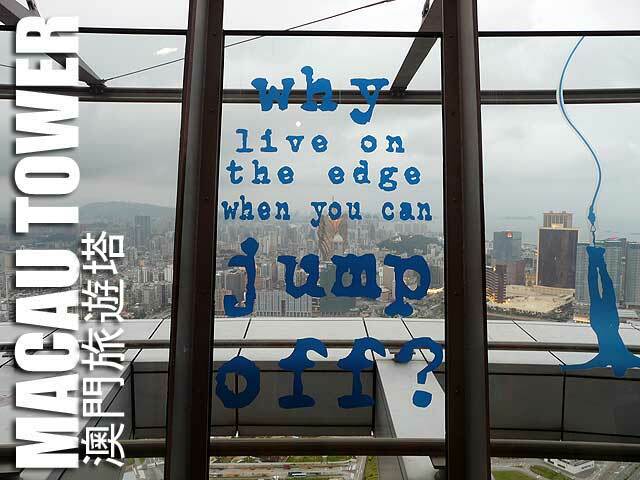 Tower observation deck admission ticket plus thbe Bungy Jump costs HK$/MOP1,718. If you want to purchase the additional CD + DVD + 2 Photos bundle, the entire package would cost HK$/MOP2,298. 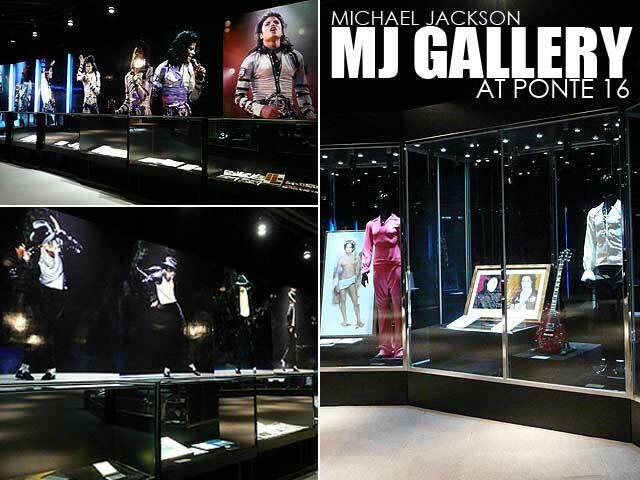 Few people know that a lot of Michael Jackson memorabilia found its way to Macau at the MJ Gallery at Ponte 16. Entrance to the gallery is free. Significant items in the collection are the white rhinestone glove worn by MJ for his moonwalk debut in 1983 as he performed what was known to be one of recent history’s greatest songs Billie Jean, the Zombie suit worn by MJ for Thriller on MTV, a pair of crystal socks made by Bill Whitten and worn by MJ for his Victory Tour in 1984, the RIAA platinum record award for Bad signed by MJ, bearing his handwritten words "Thanx All My Love, 1998. Michael Jackson," and the We Are The World collection, which includes a signed poster by MJ and other musicians, and the 3x Platinum RIAA Award for the LP among many others. There's so much to see and do in the old center of Macau. Experience the sights, sounds, scents and flavors of old Macau by walking around its historic center. 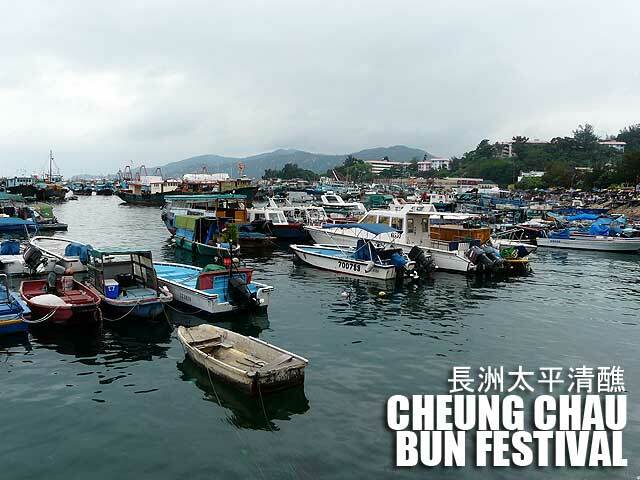 I've been fascinated by the Cheung Chau Bun Festival 長洲太平清醮 ever since my first visit to Hong Kong in 1991. It was one of the festivals Hong Kong promoted in their brochures which I read intently after that trip. But I was too young to explore on my own then. 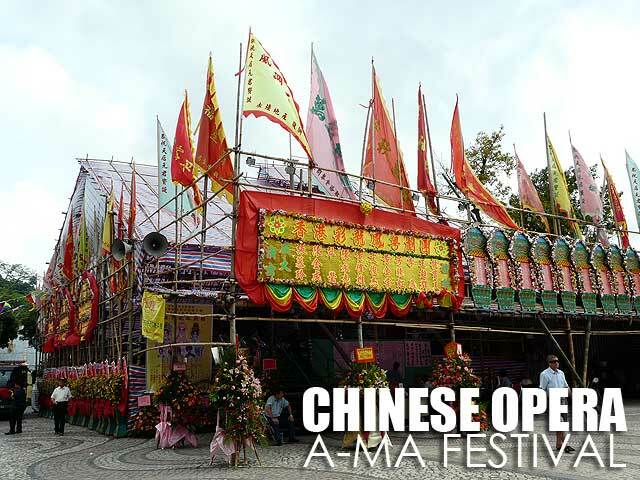 Plus I had to coincide a trip with the festival if I wanted to see it since it happens only once a year, on the eighth day of the fourth lunar month. 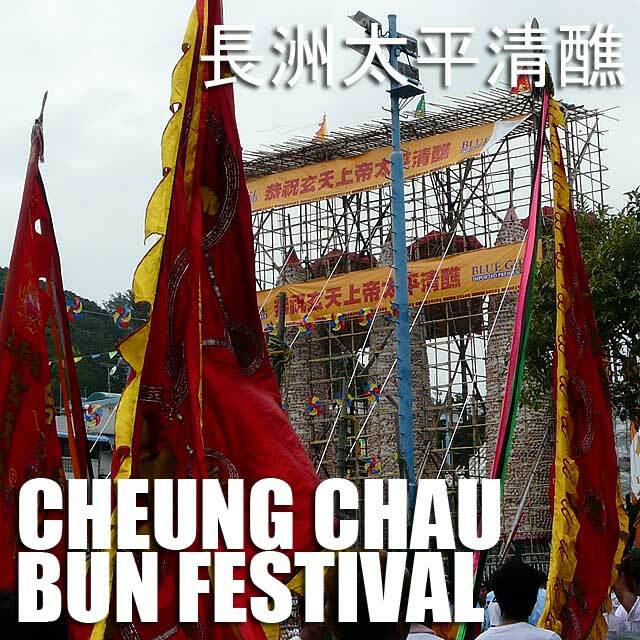 So it was a pleasant surprise, after gathering brochures at the HK airport upon our arrival last week, that the Cheung Chau Bun Festival was the next day! There was another festival parade in the morning celebrating the Birthday of Tam Kung 譚公誕. The parade in Cheung Chau was right after lunch so I decided to visit both. After Shau Kei Wan, I rushed over to Central to catch the ferry to Cheung Chau from Central Pier 5. The ferry terminals are quite a walk from the MTR station. Anyway, when I got there, I was shocked to see literally thousands of people in line. What the heck! I was already there. And I didn't know when I would have the chance to visit again on the festival day. So I joined the line which was moving inch by inch. It was a mad rush of visitors to Cheung Chau! That's why the tourist information desk advised me to be in Cheung Chau before 11 a.m. The fast craft takes about 30 minutes and costs HK$32.20 on public holidays. 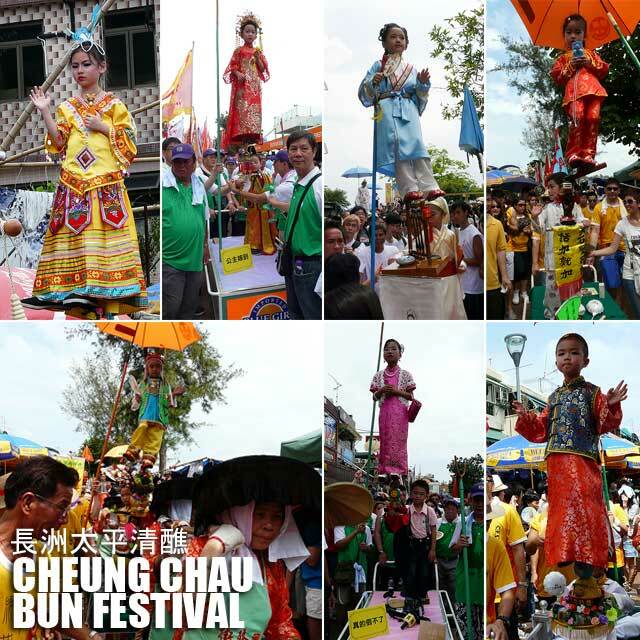 When I arrived in Cheung Chau, the parade-in-the-air was making its way down the main road. But with so many people, it was really difficult to navigate the parade route or even take decent photos for that matter. It is said that the festival traces its origins to a plague on the island hundreds of years ago. The villagers of Cheung Chau disguised themselves as deities to scare away the evil spirits responsible for the plague. Aside from the staple lion dances and dragon dances we see in many Chinese celebrations, this parade is called parade-in-the-air because of the heavily made up children dressed as mythological figures and modern Chinese heroes who are suspended above the crowd on the tips of swords, paper fans and other items. It's actually an illusion because the children are secured by steel frames, an intricate system of rod and wires underneath their clothing, making it appear that they are gliding through the air. 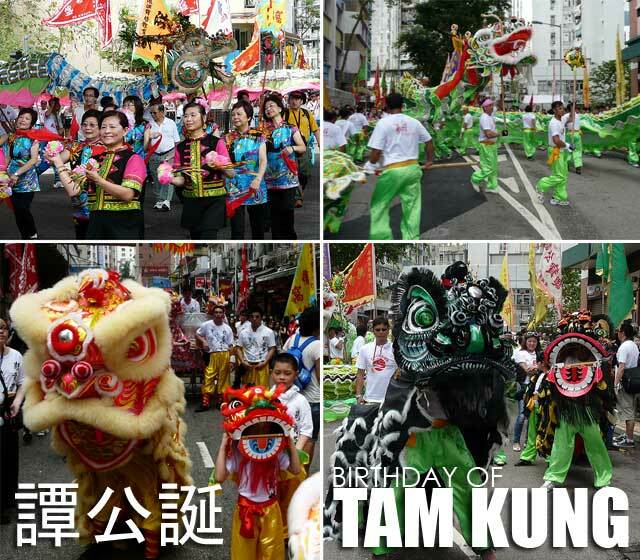 It is said that parents consider it a great honor for their kids to be part of the parade. 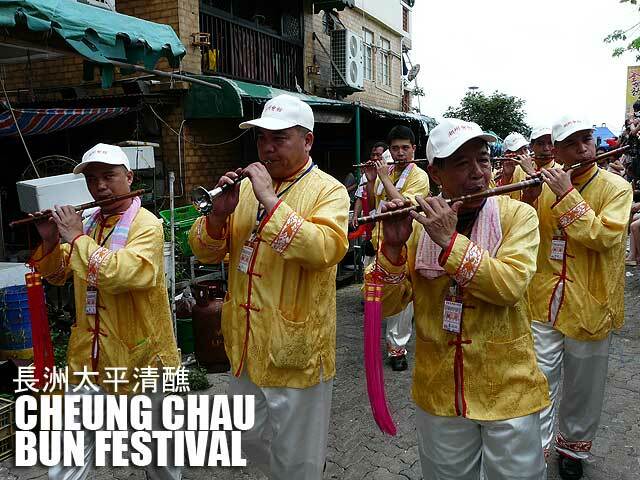 Kung fu club members, Taoist priests in traditional attire and ensembles with gongs, drums and other musical instruments join the parade that makes its way around the narrow streets of the island. Of course, my visit would not be complete if I did not see the bun towers. So I walked towards the Pak Tai Temple where the bun mountains or bun towers were located. 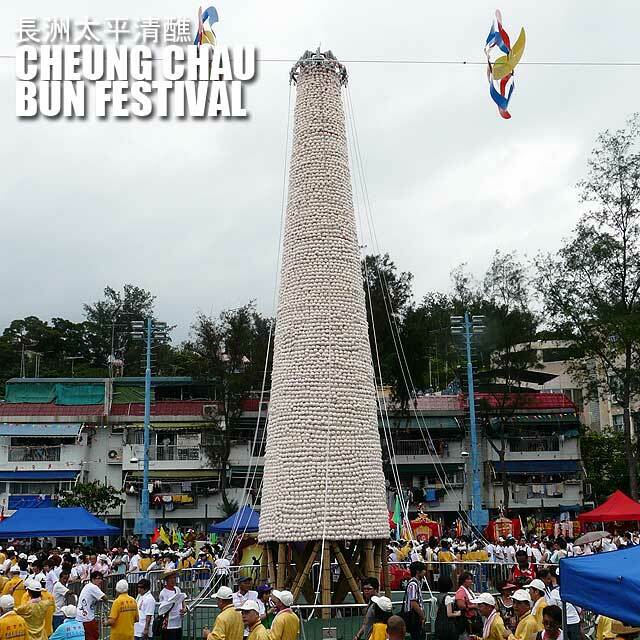 There are three giant 60-feet bamboo towers covered with buns. 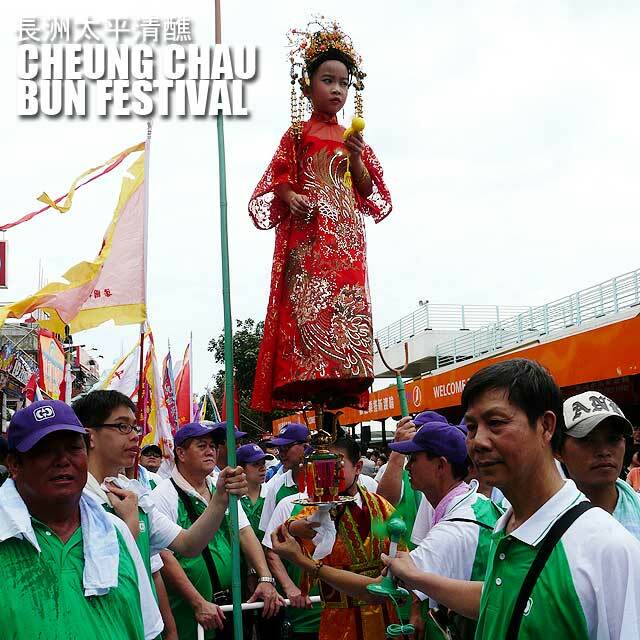 One of the events of the festival is the bun-snatching race at midnight. Young men would race up the towers and get as many buns as they could. The higher the buns, the better fortune for the participant's family. After an accident in 1978 where one of the bun towers collapsed, the government stopped the bun-snatching tradition. It was reintroduced in 2005 with safety measures put into place including a separate steel bun mountain structure and mountain-climbing equipment for the 12 well-trained athletes selected for the activity. Anyway, I didn't stay too long since I knew that the crowd would all rush back to Central after the parade. So I wiggled my way back to the ferry terminal. I was in line for quite a while. As I boarded the ferry, I could see the line outside the building stretch back really far. Thank God I decided to leave early or I would have missed catching up with my family in Hong Kong Disneyland. 1. 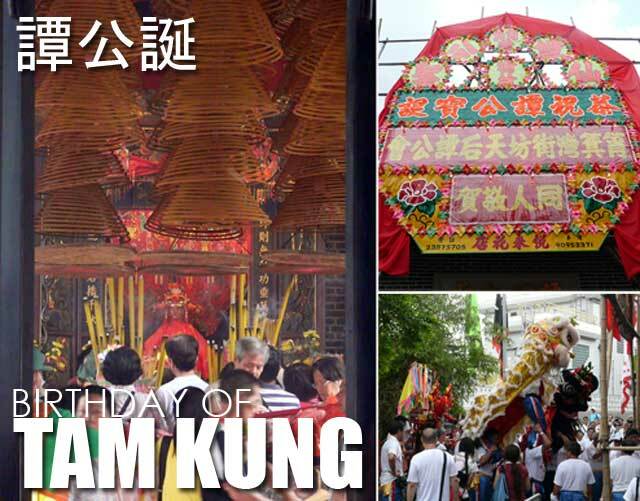 With the mammoth crowd that visits Cheung Chau during the festival, it's best to join a guided tour since they take the group on a private boat (so no lines at the ferry terminal) and you get to watch the parade at the official grandstand. 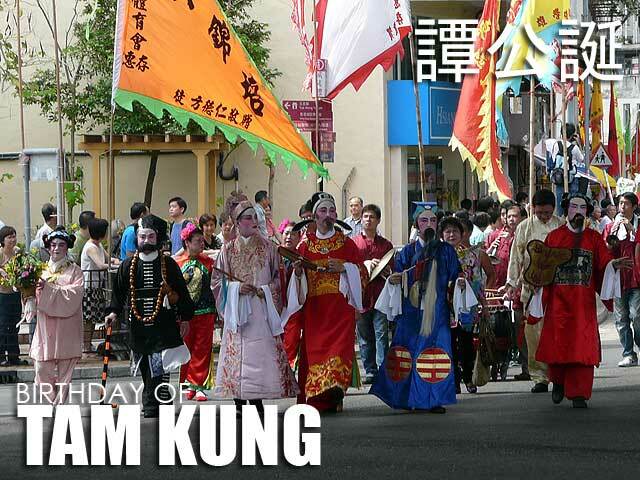 Contact the Hong Kong Tourism Board to inquire about the tours. It's not cheap at HK$640 (2010 tour fee). But you basically pay for comfort and convenience. 2. 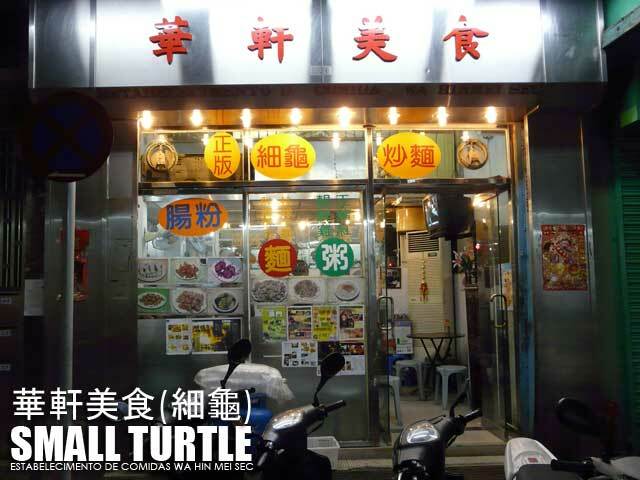 If you want to explore on your own and have time and funds to spare, then book a stay for a night or two in Cheung Chau. At least you also get to witness the bun-snatching competition at midnight and don't join the crowds on the ferry. 3. But if you're on a tight budget or schedule, just make sure you're in Cheung Chau as early as possible (before lunch) to avoid the crowds. 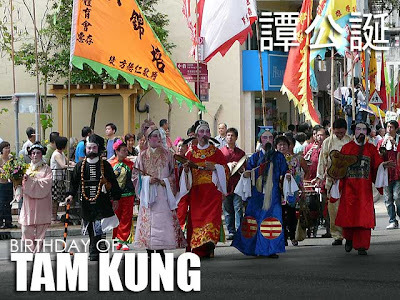 It's a good thing the Hong Kong Tourism Board prepares a Hong Kong Cultural Celebrations Activities Guide which lists down the schedule of events and activities of the various festivals held in May. Speaking of festivals, I was lucky that three major Hong Kong festivals coincided with our trip. 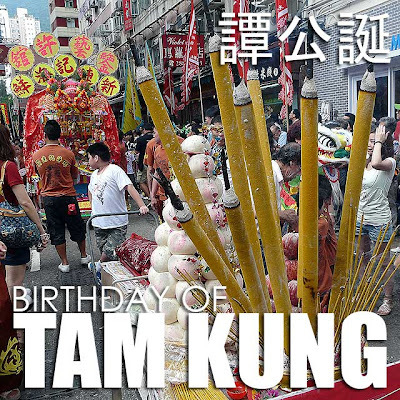 The Cheung Chau Bun Festival 長洲太平清醮, Birthday of Lord Buddha 佛誕, and the Birthday of Tam Kung 譚公誕 all fall on the same day, the eighth day of the fourth lunar month, which was May 21 this year. I was able to visit two of them. 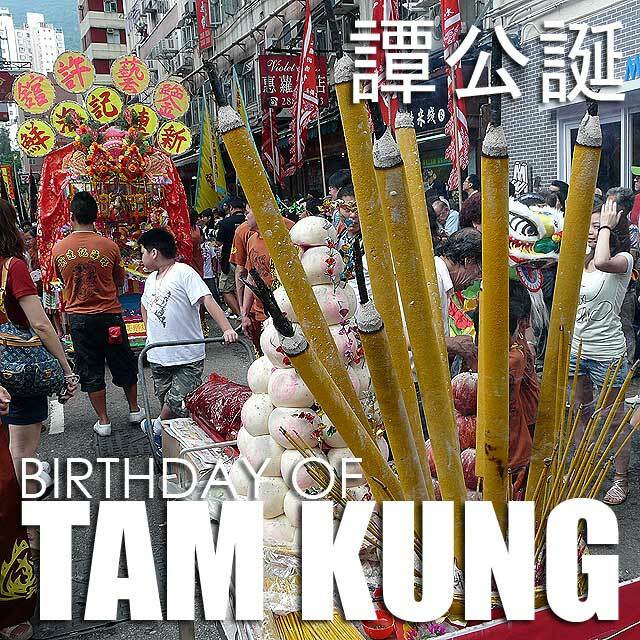 While my family was making their way to Hong Kong Disneyland, I took the MTR to Shau Kei Wan, where the Tam Kung Temple is located, to watch the procession that celebrates the Birthday of Tam Kung 譚公誕. 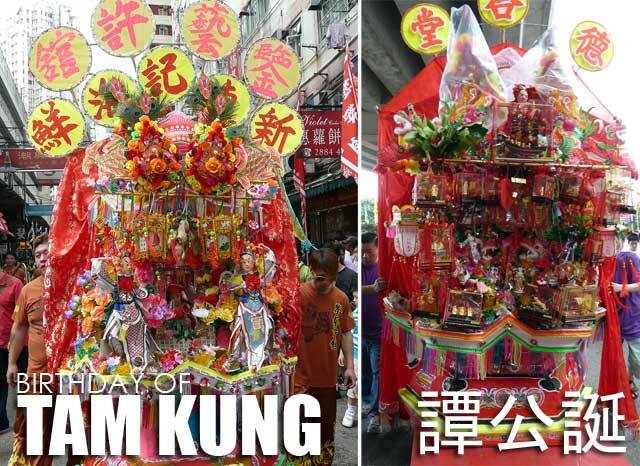 Tam Kung is a very respected deity among the fishermen and boat people of Hong Kong. He is associated with safety at sea. He was said to have blessed seafarers during the Yuan Dynasty and was known for his weather forecasting and curing diseases. 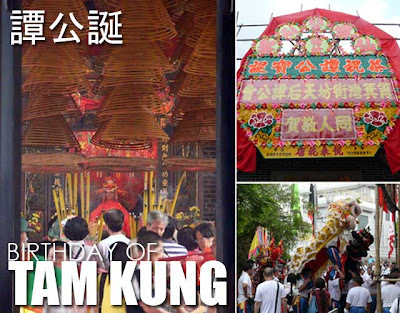 The procession to the temple, which lasts from 10 a.m. to 12 noon, includes people dressed as gods in Chinese fairy tales, drums and gongs, lion, unicorn and dragon dances, food offerings and fa pau (or paper floral shrines). 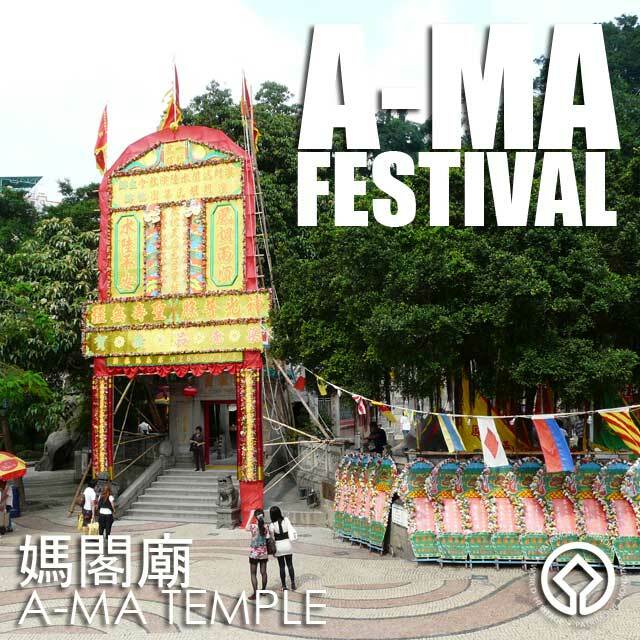 The A-Ma Festival was celebrated this year on May 6, the day we arrived in Macau. 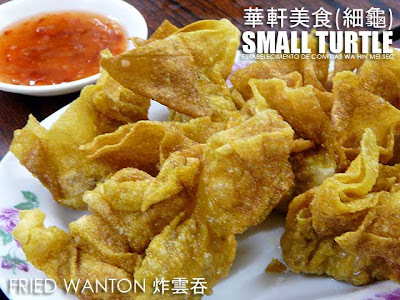 It falls on the 23rd day of the third month of the lunar calendar. We may have missed the festival day itself. But the festivities continued until May 8. According to historical accounts, the A-Ma Temple 媽閣廟 (Temple of Barra) was said to be the point where Portuguese sailors first landed in Macau, thus starting centuries of cultural and economic exchange between China and Europe. 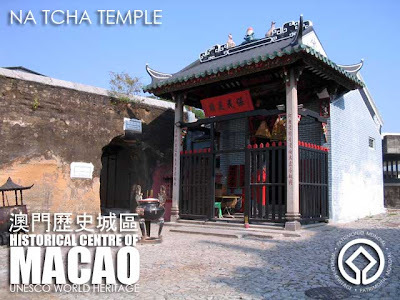 The temple is among the historical structures inscribed in the UNESCO World Heritage List as part of the Historical Centre of Macao. It is also said that the name Macau come from A-Ma Gau which means Bay of A-Ma. The main prayer hall is dedicated to the Tin Hau 天后 goddess or Matsu 媽祖, the patroness of seafarers and fishermen, a Taoist deity which the locals refer to as A-Ma. 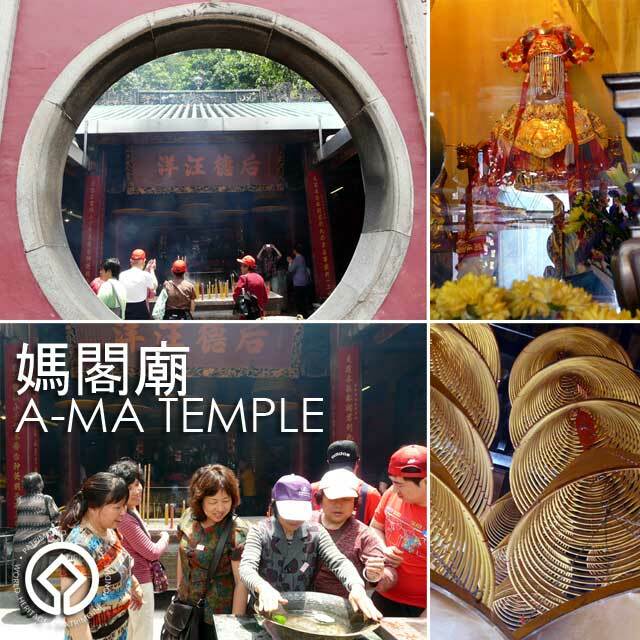 But the temple has shrines to other deities from Taoism, Buddhism and Confucianism which is an exemplary representation of Chinese popular religion which integrates all three. As part of the A-Ma Festival, there were five days of Chinese opera (May 4 to 8) in a specially-constructed bamboo shed. We were lucky to be given access to the dressing room behind the stage where the actors were silently preparing and practicing their lines. The group performing came all the way from Guandong Province. 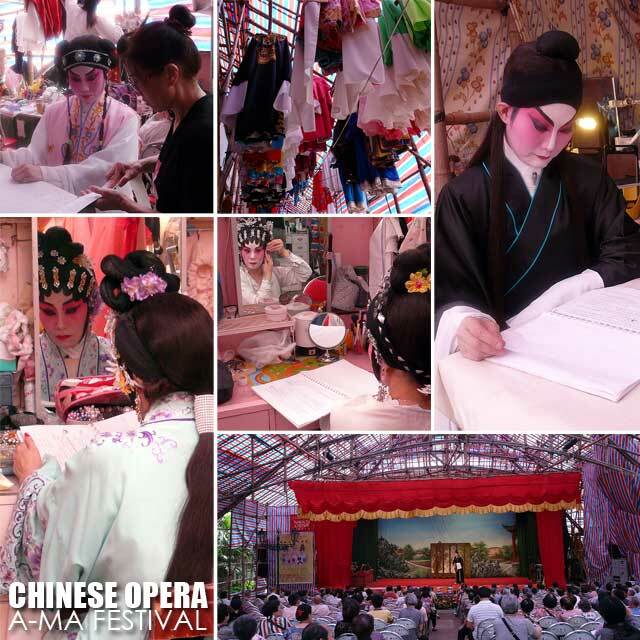 We stayed for a while to catch parts of the performance, but not too long since it was hot and humid plus we had a schedule to follow. Outside the temple, in Barra Square, a lion dance performance was taking place which happens every Saturday afternoon of May, organized by the Macau Government Tourism Office (MGTO). The next morning, when we returned to the A-Ma Temple, we caught the Portuguese dance performance in Barra Square at noon, also organized by the MGTO for all the Sundays of May. Who said you need to fly to Portugal to have a taste of authentic Portuguese food? Macau being a former Portuguese colony, is a haven for Portuguese cuisine. 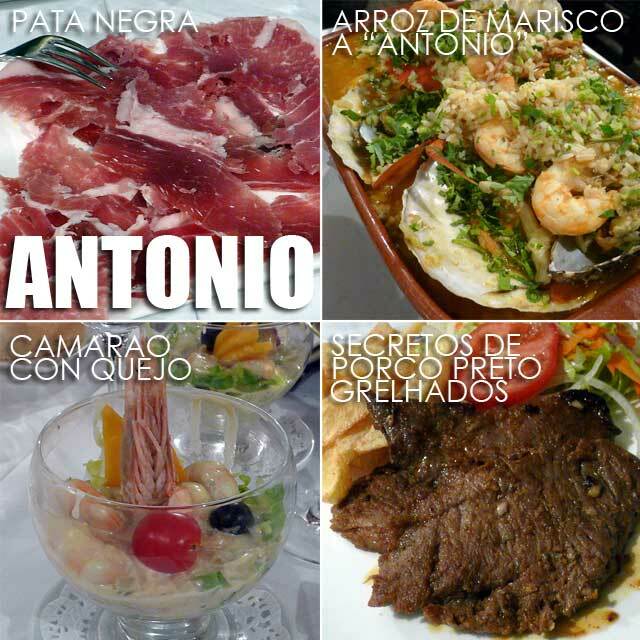 To add, it has a healthy community of expat Tugas who own many of the Portuguese restaurants. For our second night, we had dinner at Miramar Portuguese Food in Coloane Island. The restaurant is by the beach and has both indoor and outdoor dining. 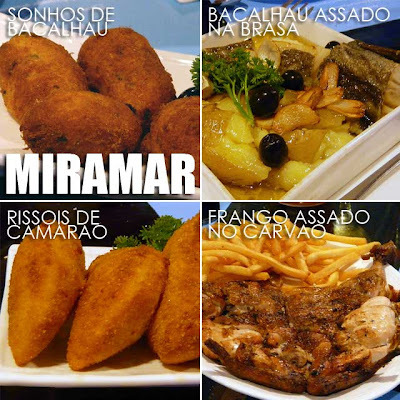 Our dinner included Sonhos de Bacalhau (Codfish Dreams) HK$/MOP37, Rissois de Camarao (Shrimp Rissois) HK$/MOP40, Bacalhau Assado na Brasa (Steamed Salt Codfish served with Boiled Potato, Chick Peas, Eggs and Cabbage) HK$/MOP148, Frango Assado no Carvao com Batata Frita e Salada (Barbecued Chicken with French Fries and Salad) HK$/MOP120, and the highlight of the night Perna de Carneiro Assada no Forno con Batata Assada (Oven-cooked Leg of Lamb with Roast Potatoes) HK$/MOP298. I personally like the Barbecued Chicken and Leg of Lamb which comes with a special mint sauce on the side. We even had Portuguese beer, vinho verde branco and brandy to go with our dinner. The owner, Antonio Peralta, was a very gracious host. While behind the success of the kitchen is Afro-Portuguese chef Rosa Maria Conceicao. For our third night, we had dinner at the Michelin-recommended Antonio Restaurante on Taipa Island. It's a really small but cozy restaurant in Taipa's old quarter. We actually joined Chef Antonio Coelho in the morning at Macau's Red Market as he shopped for the freshest ingredients for our dinner. That evening, we had Presunto Portugues Pata Negra ("Pata Negra" Portuguese Smoked Ham) HK$/MOP255 for starters. Then he served us something not in the menu, Camarao con Quejo (Prawn Cocktail with Spicy Cow Cheese from Azores). You can actually ask Chef Antonio to prepare dishes that are not in the menu as many of his regulars do. Then came in the Arroz de Marisco a "Antonio" Servido em Tacho de Barro (Seafood Rice "Antonio" Style Served in a Ceramic Pot) HK$/MOP400 and the Secretos de Porco Preto Grelhados no Carvao com Batata Frita e Salada Mista (Black Pork Fillets imported from Portugal on Charcoal Barbecue with French Fries and Salad) HK$/MOP170. 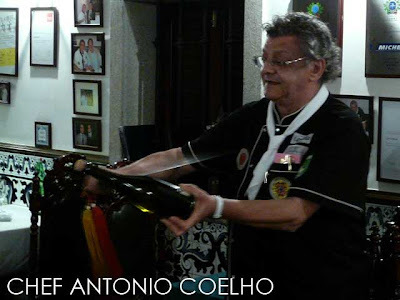 Again, lots of Portuguese red and white wine and champagne to accompany the dishes. Chef Antonio even showed us how to open a champagne bottle with a sword. 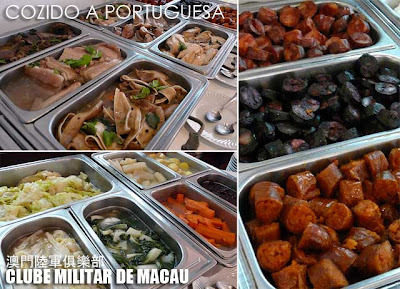 Finally, for our Day 4 lunch, we tried out the Sunday buffet at Clube Militar de Macau 澳門陸軍俱樂部. 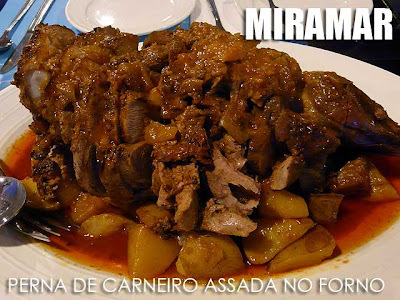 Of course, the highlight of their regular Sunday buffet is the Cozido à Portuguesa which is a stew made of assorted meat including pork, chicken, and beef boiled with assorted vegetables and Portuguese sausages which include chouriço (pork sausage), morcela (blood sausage) and farinheira (flour sausage), which you eat with rice and boiled potatoes. The buffet, which includes Bufete de Salada (salad buffet), Sopa de Cozido (meat broth soup) and the Cozido à Portuguesa, plus Bufete de Sobremesas (dessert buffet) costs HK$/MOP128 per head, not bad for a really heavy meal. Here is a list of recommended Portuguese restaurants in Macau. Make sure you request your hotel concierge to reserve your table. And do arrive at the restaurant on time because Macau restaurants are usually very full and busy. Also ask the concierge to write the Chinese name of the restaurant for the taxi driver. 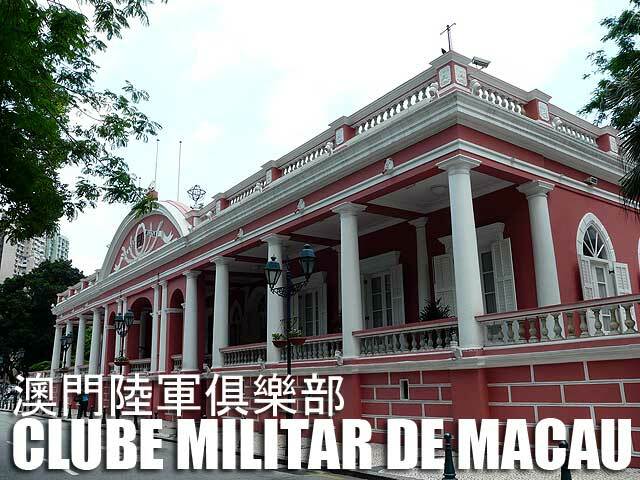 Some restaurants are in Taipa and Coloane, so the taxis will be more expensive. Buses are also available. Macau red and white wines are excellent and reasonably priced, so order some to go with your meal. All the restaurants have Filipinos with their staff which we experienced first hand. Feel free to ask them for suggestions on their specialties and on moderately-priced good wines. It seems transferring old houses is becoming a fad nowadays. I'd like to stress, especially to those who claim they are preserving an old house by moving it, that transferring heritage violates internationally-accepted conservation principles. 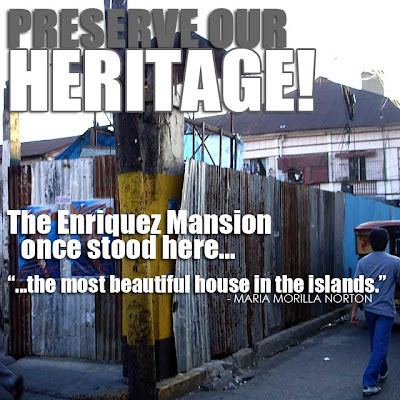 The Philippines is a signatory to the International Charter for the Conservation and Restoration of Monuments and Sites or the Venice Charter. Article 6 of the Venice Charter says, "The conservation of a monument implies preserving a setting which is not out of scale. Wherever the traditional setting exists, it must be kept. No new construction, demolition or modification which would alter the relations of mass and color must be allowed." Article 7 of the same document states, "A monument is inseparable from the history to which it bears witness and from the setting in which it occurs. The moving of all or part of a monument cannot be allowed except where the safeguarding of that monument demands it or where it is justified by national or international interest of paramount importance." It is best to preserve heritage in situ. Each structure is part of the historical fabric of the community where it is located. Uprooting it from where it stands deprives the local community of its heritage. Transferring it to another place renders it out of context and distorts its story. If transferring it is the only means of saving it, then so be it. But such transfer must be done with certain prerequisites including the proper architectural documentation of the house, and the supervision of a qualified restoration architect. But for people with the collector mentality who treat old houses like collector's items (which they are not), that is a different story. We are against the poaching of old houses by collectors and antique dealers who force, bait or tempt with monetary compensation house owners to sell their ancestral homes. 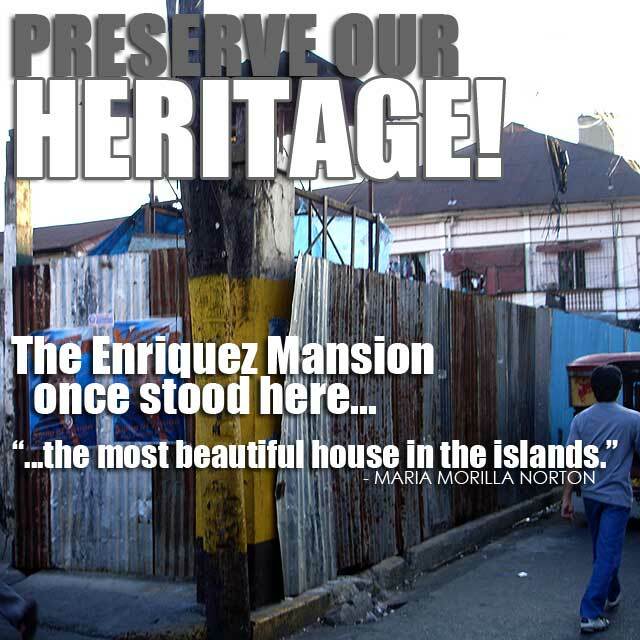 The best example of such a violation was the transfer of the Enriquez Mansion to Las Casas Filipinas de Acuzar in Bagac, Bataan because the said mansion was not in danger of being demolished in the first place! 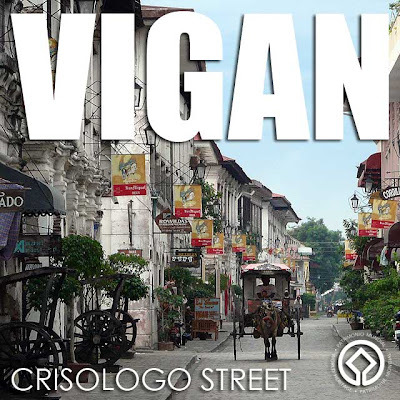 At the same time, after the house was transferred, they built a ten-floor building in its place, thus destroying even more the historical fabric of Hidalgo Street in Quiapo, Manila. Now is that what you call love for heritage? That's why to date, I have never stepped foot in the Las Casas Filipinas de Acuzar until they realize that shopping for heritage houses does not help in the preservation of heritage. With Republic Act No. 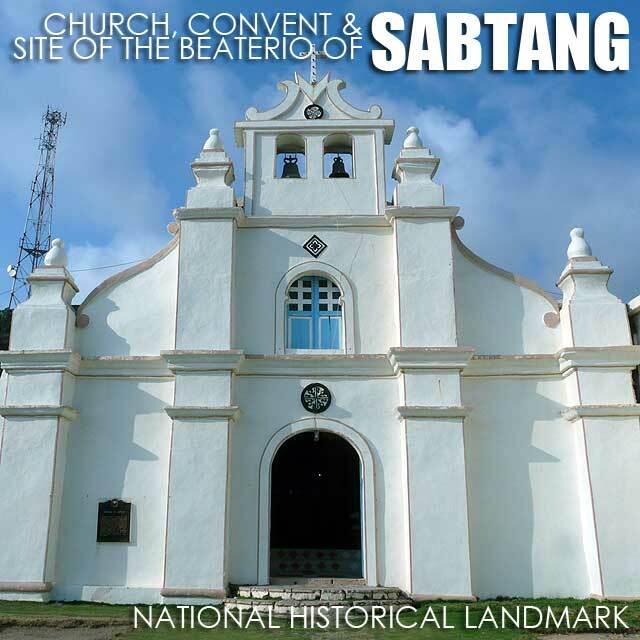 10066 - National Cultural Heritage Act of 2009 which took effect on May 6, 2010, all structures fifty years and older are presumed to be Important Cultural Properties unless otherwise declared by the NCCA. That includes old houses built before 1960. So therefore, demolishing or transferring an old house now requires the permission of the NCCA. As part of the process, the owner must prove that the heritage house in question is not archaeologically, architecturally, culturally or historically significant before approval is made for the demolition or transfer. 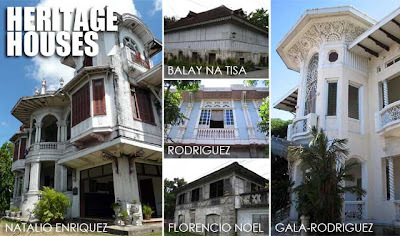 As you all know, I've compiled a list of structures and sites declared by law or by the National Commission for Culture and the Arts (NCCA), National Historical Institute (NHI), or National Museum (NM). And as new sites and structures are declared, I update the list. Today, we got the latest list from the NHI. 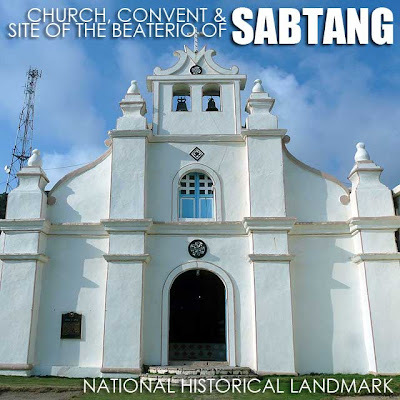 The additions to the list include new National Historical Landmarks: Church, Convent and Site of the Beaterio of Sabtang (Sabtang, Batanes), Church of Ivana (Ivana, Batanes), Mansion House (Baguio City), Surrender Site of General Tomuyuki Yamashita (Kiangan, Ifugao), Birthplace of Gregorio del Pilar (Bulacan, Bulacan), Site of the Battle of Imus (Imus, Cavite), Sta. Cruz Parish Convent (Tanza, Cavite), Tayabas Provincial Capitol Building (Tayabas, Quezon), Old Iloilo City Hall (Iloilo City), Cebu Provincial Capitol (Cebu City), Leyte Provincial Capitol (Tacloban, Leyte), Church of Dauis and its Complex (Dauis, Bohol) and Punta Cruz Watchtower (Punta Cruz, Bohol); and Heritage Houses: Gala-Rodriguez House (Sariaya, Quezon), Natalio Enriquez House (Sariaya, Quezon), Rodriguez House (Sariaya, Quezon), Sarayba House (Gen. Trias, Cavite), Casa Narvas (Boac, Marinduque), Balay na Tisa Heritage House (Carcar, Cebu), Mercado Mansion Heritage House (Carcar, Cebu), Sa Dakong Balay / Don Florencio Noel House (Carcar, Cebu), Silva House Heritage House (Carcar, Cebu) and the President Carlos P. Garcia Heritage House (Tagbilaran, Bohol). The Jose Rizal Monument in Daet, Camarines Norte was declared a National Monument. Next update when we get the latest declarations from the National Museum. With the recently enacted Republic Act No. 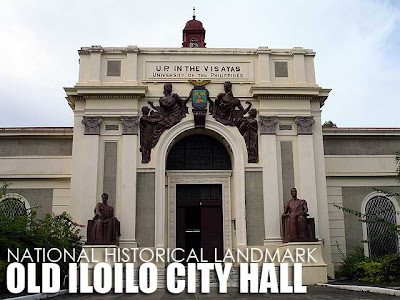 10066 - National Cultural Heritage Act of 2009, even marked sites, works of National Artists for Architecture, and all structures fifty years and older are presumed to be Important Cultural Properties unless otherwise declared by the NHI, NM or NCCA. So we'll compile a list of marked sites and structures as well. Section 15 of R.A. 10066 states, "All intervention works and measures on conservation of National Cultural Treasures, Important Cultural Property, as well as national historical landmarks, sites or monuments, and structures previously marked by the National Museum and/or National Historical Institute before the implementation of this Act shall be undertaken only upon prior approval of the Commission through the appropriate cultural agency which shall supervise the same." "The Commission shall approve only those methods and materials that strictly adhere to the accepted international standards of conservation." 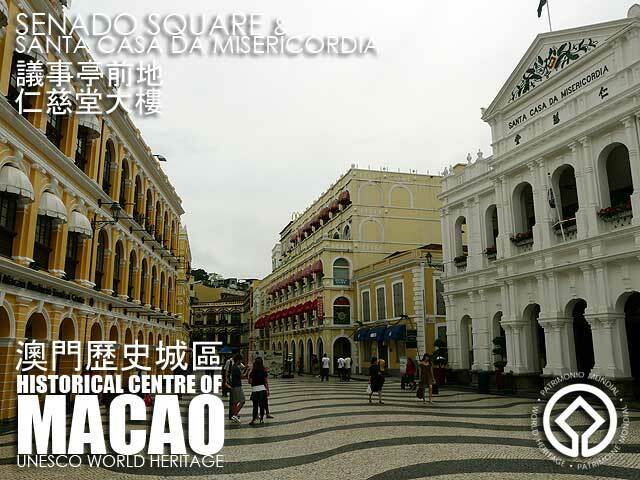 The Historic Centre of Macao 澳門歷史城區 was inscribed in the UNESCO World Heritage List in 2005. Later that year, I made my first trip to Macau. 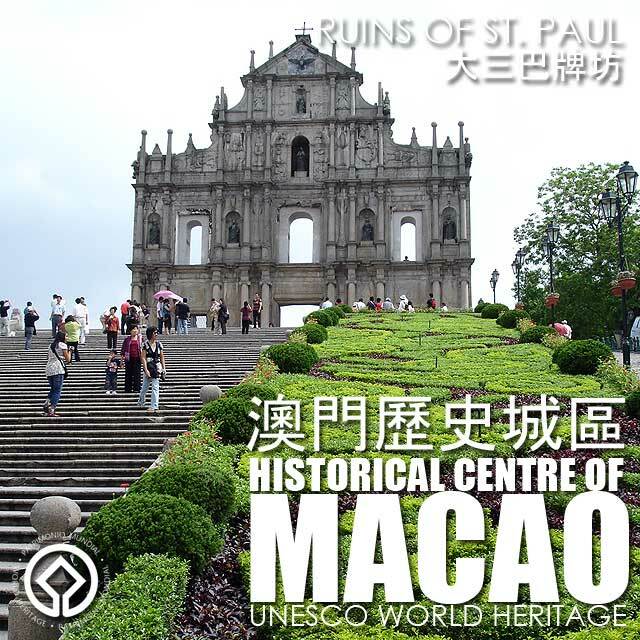 And I literally walked the whole Macau Peninsula visiting all the 25 sites included in the UNESCO inscription. I was glad to be back again last week for a different kind of walking tour around old Macau since this time, we visited the alleys and side streets most tourists take for granted. We started our walk at the old Ponte No. 16 Building which was where Sofitel Macau At Ponte 16 is. From there, we made our way to Senado Square along San Ma Lo or Avenida de Almeida Ribeiro, then through the alleys and small side streets where we saw a good number of interesting old structures. 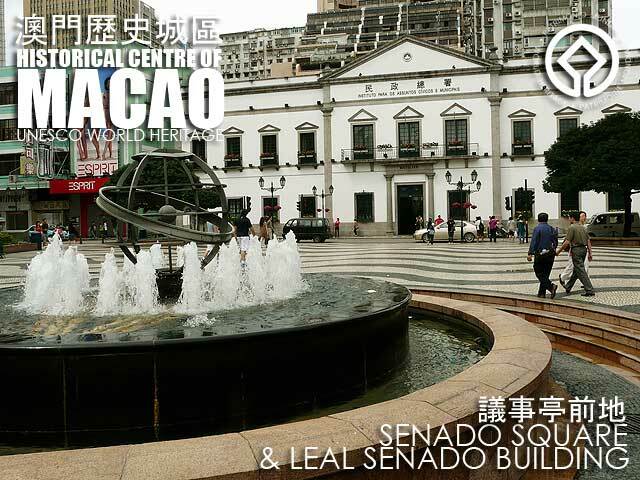 Senado Square is the center of old Macau. 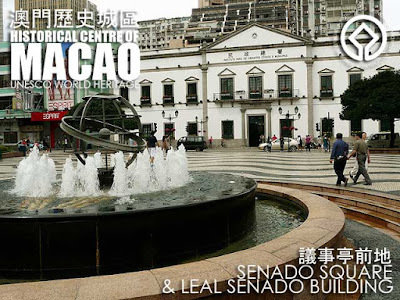 Around it are the Leal Senado Building, Santa Casa da Misericórdia, the Macau Post Office Building and other grand old structures. What I like about the area is the fact that the signages are simple and not intrusive, unlike those in the Philippines which tend to grab too much attention. From Senado Square, we walked towards the Ruins of St. Paul, passing by St. Dominic's Church. From the Ruins of St. Paul, we took escalators up to the Museu de Macau which documents and presents the history of Macau and its people. 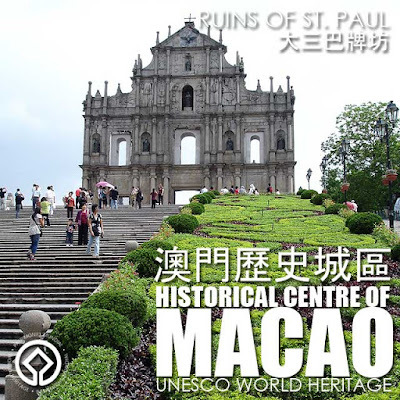 According to UNESCO, Macau was inscribed in the World Heritage List because it "bears a unique testimony to the first and longest-lasting encounter between the West and China. From the 16th to the 20th centuries, it was the focal point for traders and missionaries, and the different fields of learning. The impact of this encounter can be traced in the fusion of different cultures that characterise the historic core zone of Macao." Macau also "represents an outstanding example of an architectural ensemble that illustrates the development of the encounter between the Western and Chinese civilisations over some four and half centuries, represented in the historical route, with a series of urban spaces and architectural ensembles, that links the ancient Chinese port with the Portuguese city." 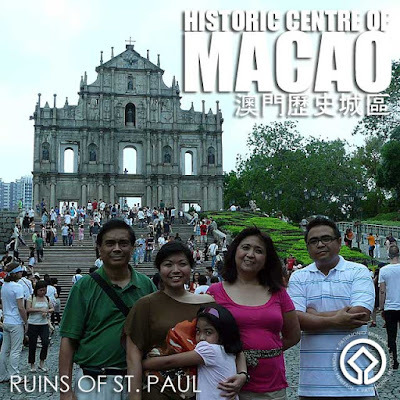 The 25 sites include churches: St. Lawrence's Church, St. Joseph's Seminary and Church, St. Augustine's Church, Cathedral of the Nativity of Our Lady, St. Dominic's Church 玫瑰堂, Ruins of St. Paul 大三巴牌坊 and St. Anthony's Church; temples: A-Ma Temple 媽閣廟, Sam Kai Vui Kun or Kuan Tai Temple, and Na Tcha Temple 大三巴哪吒廟; government and institutional buildings: Leal Senado Building, Moorish Barracks, Dom Pedro V Theatre 伯多祿五世劇院, Sir Robert Ho Tung Library, and Holy House of Mercy or Santa Casa da Misericórdia 仁慈堂大樓; plazas and open spaces: Lilau Square, St. Augustine's Square and Senado Square 議事亭前地; residences: Mandarin's House, Lou Kau Mansion and Casa Garden; fortifications: Section of the Old City Walls, Mount Fortress or Fortaleza do Monte 大炮台, and Guia Fortress 東望洋炮台 which includes Guia Chapel and Guia Lighthouse; and cemeteries: Old Protestant Cemetery 基督教墳場 and the old headquarters of the British East Indies Company. 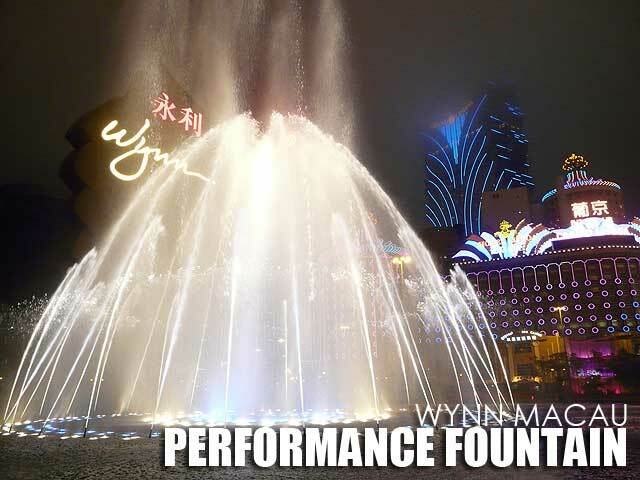 What a way to start a tour of Macau! We had arrived on an evening flight and the first order of the day was a Chinese dinner. Our hosts from the Macau Government Tourism Office took us to this hole-in-the-wall hawker stall called Small Turtle 華軒美食(細龜) or Estabelecimento de Comidas Wa Hin Mei Sec, a Cantonese restaurant which is very popular for its fried beef rice noodles 干炒牛河, fried wanton 炸雲吞, and fried dace fish balls 炸鯪魚球. 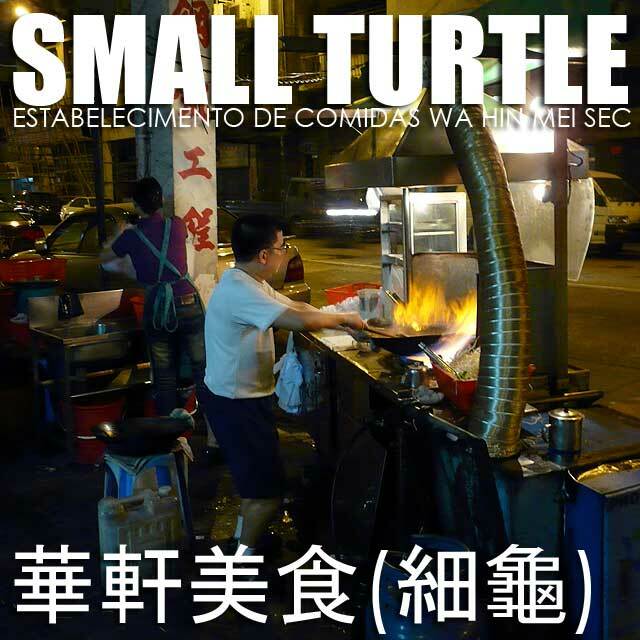 When we arrived, we saw the guy they call Small Turtle firing up the noodles in a cart by the street. It turns out, the noodles are cooked here while the other dishes are prepared inside the restaurant across the street. 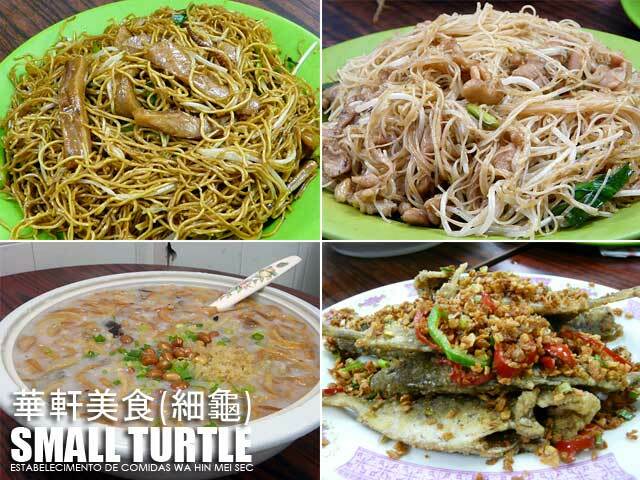 While most of his customers go for take away, you can opt to stay in the restaurant and eat your noodles there. We were served various preparations of noodles. 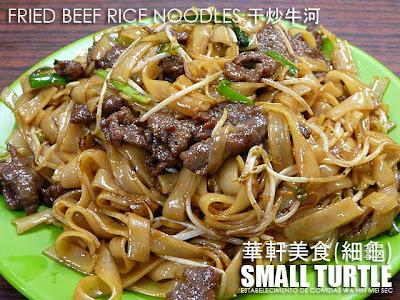 Their specialty is of course the fried beef rice noodles which reminded me so much of char kway teow. We also had octopus with white noodles and pork with glass noodles. When we thought we were done, they sent in even more food. 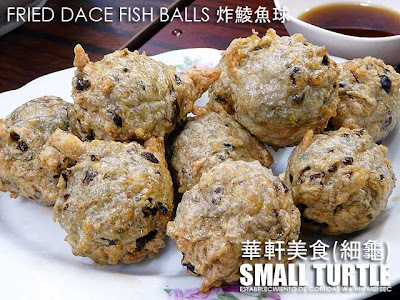 The fried shrimp dumplings were really good while the deep fried minced fish balls were oozing hot when they served it to us. Then came in two large bowls of Fisherman's Congee which we obviously could not finish. I wish it had come first because I liked it. But after all those really tasty dishes, it did not leave a lasting impression on my taste buds. The last dish they brought out was deep fried little fish. My friends know that I'm not a seafood person so I didn't try that out anymore. Besides, I was already stuffed with all that delicious Chinese food! Expect to spend about HK$/MOP25 to 50 per head. The fried beef rice noodles is HK$/MOP25 per order. That heavy and sumptuous meal was a great start for our Macau adventure, isn't it Ferdz, Nina, Estan, Kaoko and Christine? Open from 6:30 p.m. to 4:30 a.m.
V. delos Reyes St. cor Salcedo St.
Bonifacio St. cor. Quirino Blvd. 14 Plaridel St. cor. Bonifacio St.